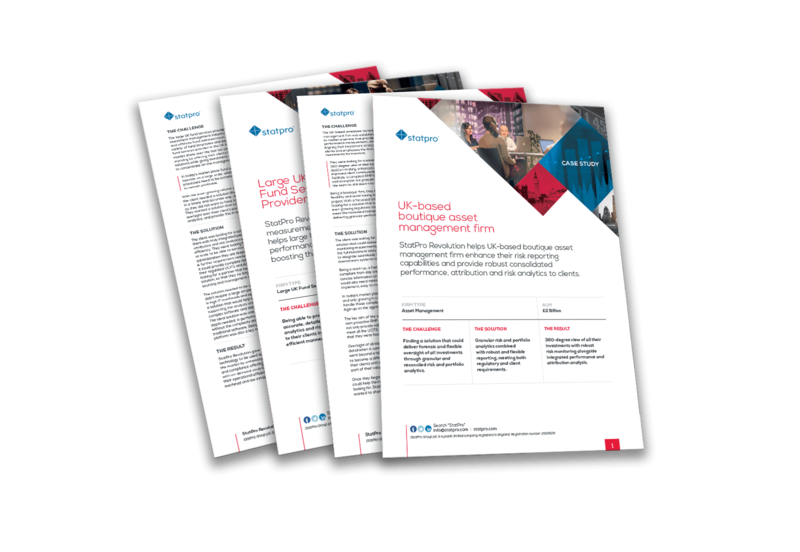 The implementation of the StatPro Application Interface (API), enabled Baillie Gifford to integrate additional information into their client reports with relative ease. The API represents total flexibility and cost benefits, allowing them to meet specific reporting needs by running reports directly from the database. Baillie Gifford manages funds for some of the world’s leading institutions. Based in Edinburgh, Scotland, Baillie Gifford’s commitment to active fund management is focused on serving the needs of their clients. Main lines of business are Pension Funds and Institutional Clients, Investment Trusts and Retail Financial Products. They offer a full range of pooled fund services to smaller pension funds and have significant funds under management from institutions in the UK, US, Canada, Japan and Germany. They also manage a number of substantial family trusts.